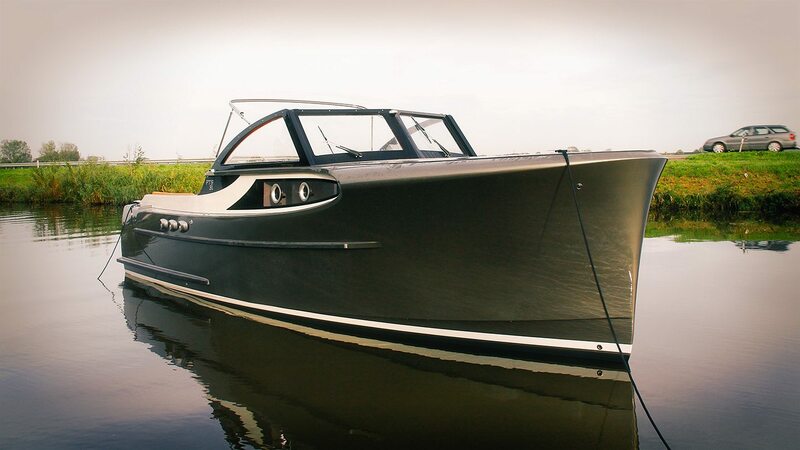 The PTS range of boats from a small Dutch yard in Schagen selected by E-Boatique and HSC for their attention to detail and quality of build, reflects their inspiration from the eponymous Pettersson launches. CG Pettersson was Sweden’s most famous naval architect and builder to date, creating more than 1000 boats during his lifetime. He had a distinctive aesthetic which we see clearly translated down the years in the PTS 26 and more recently also the PTS 31. The boats were designed for island hopping on the Scandinavia. 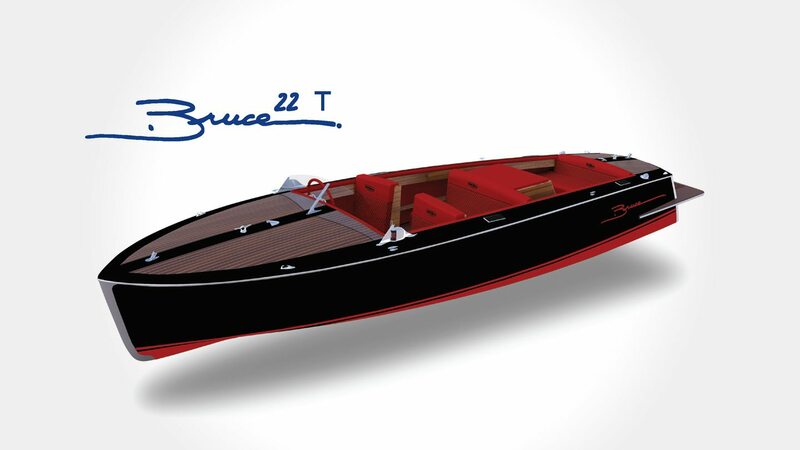 To date Statement Marine have built in excess of 80 boats since their inception in 2006. However the yard does not seek to build more than 15 boats a year. The advantage of a semi bespoke build is the choice of colours and materials. The decks can be solid hard wood or Esthec which is a long lasting composite available in many colours and of course low maintenance. Some customers choose a stainless steel windscreen surround while others prefer varnished or oiled hard wood. 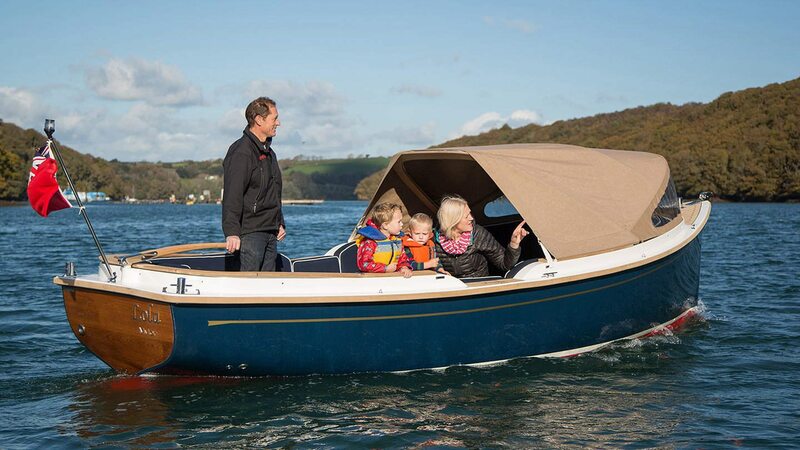 We sell these boats with a choice of propulsion designed to suit the needs of the owner. 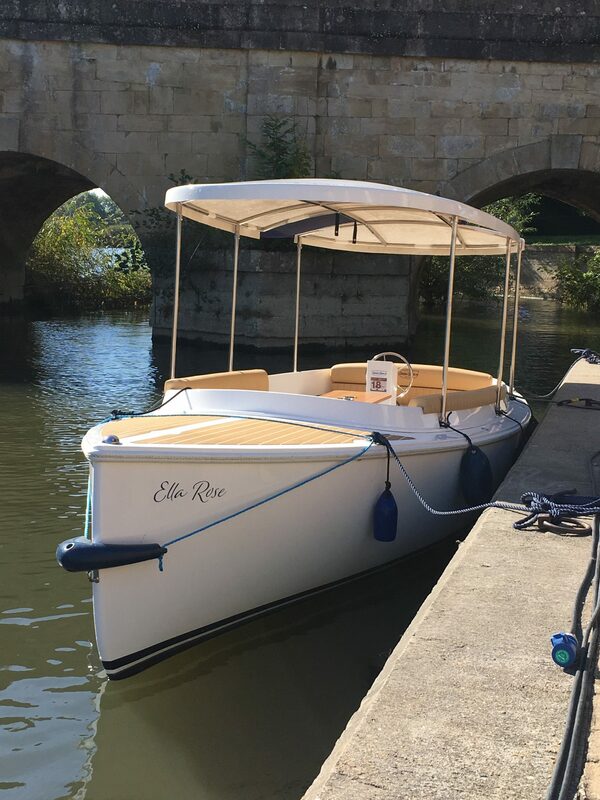 The PTS 31 launched in late 2017 at the HISWA boat show in Amsterdam and the second boat is approaching completion at Easter 2018. While one feels the influence of the original Pettersson, the 31 is very definitely contemporary both inside and out. An interesting feature is a piece of artwork commissioned by the yard to complement the interior of each 31. The owner buys a “surprise” but obviously if the piece is not to your liking you can change it. With more space throughout there is a sleeping area aft of the galley and heads below the helm positions which is ideal for children. The convertible dinette arrangement is ideal for two to sleep in a king sized bed with room for at least four to eat when in table mode. 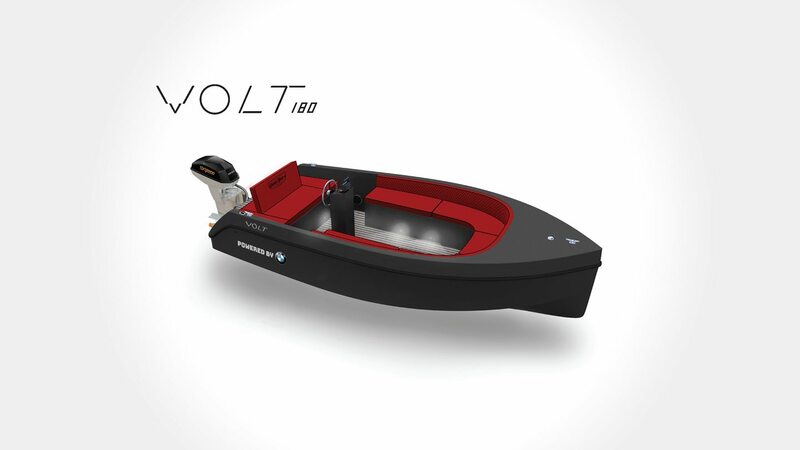 The main innovation on the 31 is the collapsible, transparent transom which can be etched with the name of the boat. 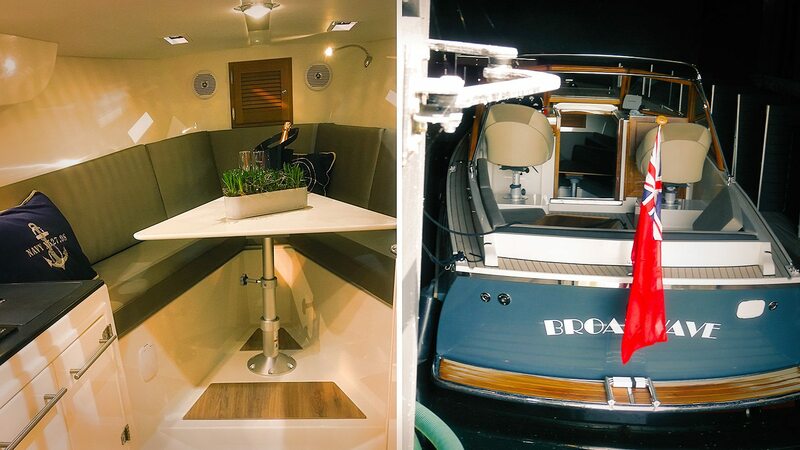 The interior furnishings are bespoke as are the hull colour and deck finishes. 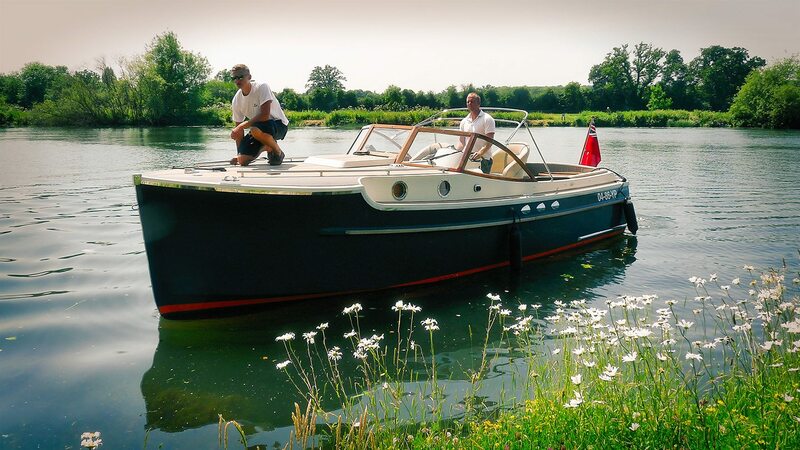 We like to take potential customers to the yard for a day visit and a river trial. This can be easily achieved from a number of regional airports in a day with no need for an overnight stay.